The castle is not fully accessible for wheelchair visitors. To get to the castle terrain you need to go up about 50 meters on hard gravel. There are two types of tickets: for castle grounds or castle grounds plus the keep. The keep obviously is not accessible for wheelers due to many stairs. Surroundings are adapted and the path around the castle is made of hard gravel and has just a few small ups and downs. There is wheelchair accessible toilet on the right-hand side when entering the grounds. 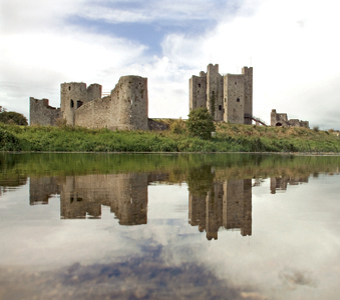 Coming soon : Trim Castle River Walk and Trim Caste Hotel.